One of the most overlooked things in the world of On-Site SEO in improving existing content. Improving content to better cater to a searcher’s intent is a form of search engine optimization (SEO). 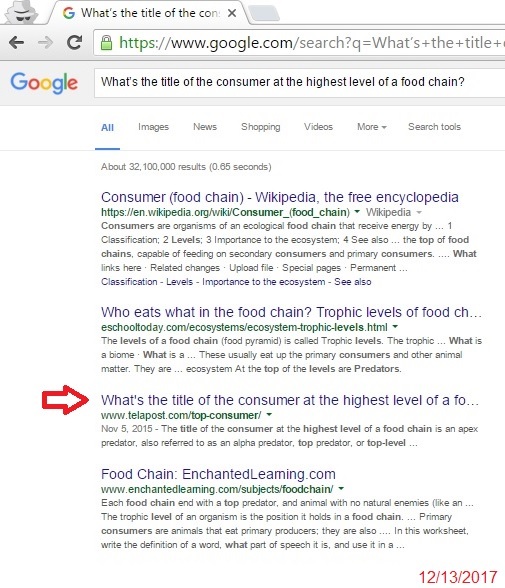 Improving content can result in better rankings in Google’s search results. This is a follow up article to an article I wrote yesterday titled “Does On Page Content Improvement Help On-Site SEO and Boost Search Rankings?“. In that article I said I wasn’t going to share any screenshots. Then I remembered an old experiment that I put into place back in 2015 and forgot all about. I even have notes, a timeline, and screenshots. It’s just too good not to share. This content outranks Yale, Wikipedia and other reputable websites. And its on THIS site. And it’s about Science, a topic I never cover. And it has zero links. And it has a featured snippet now (so it ranks #0 and #1). It moved from position 5, to 3, to 2, to 1, to both 0 & 1. I wasn’t going to share the screenshots because my argument is usually that SEO is not a science experiment. But, in some cases, there is clear causation. I should also point out that this page provides a very clear answer. In yesterday’s article. That is always GREAT. In yesterday’s article, I pointed out that I once asked a 10yr old which page should rank #1 in Google for a question and he replied “Google should give the #1 spot to whoever has the best answer”. Case Study: Will improving content lead to better rankings? I found a search that didn’t have a webpage catering to this query. In other words, no webpages directly answered a question that people could ask Google. While Google is good at surfacing relevant results, a page catering directly to the term should perform well. I figured that various schools, EDUs and Wikipedia pages would outrank me. They did, but my little page did hit page #1 about 45 seconds after publishing, which is pretty normal for this website. November 5, 2015: Content published. I can’t find the screenshot for this, but if I recall correctly, the page ranked on page 1, hit 5. December 10, 2015: Still #5. So this is perfect. The page has been sitting in Google search results for a little over a month. It hasn’t changed in rankings at all. Now I can play with it. There are 1,000 ways to improve content, so that is a story for another day. But in this case I decided to expand on the page via a related FAQ section at the bottom of the page. In the FAQ section, I added 2 questions with answers directly related to the initial question. (Please visit the page yourself to see the page title and FAQ section). As a note, that is the first time I’ve internally linked to the page. In this case I didn’t force a recrawl of the page; I let it happen naturally. The page was recrawled on December 12, 2015. That is a solid 5 weeks after the initial publication date. 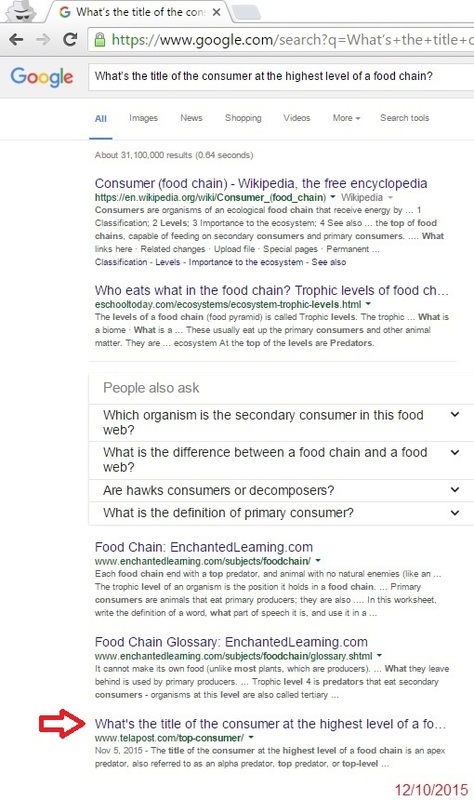 The ONLY thing that changed was the improvement / expansion of the page’s content, although I will point out that I did link out to relevant Wikipedia pages, and I’ve always believed that linking out for the benefit of the user improves a page’s quality. I didn’t even think of that until I was typing this, but like I said earlier, it is tough to make SEO a science experiment, no matter how much you attempt to control things. After seeing this, I added FAQ #3 and FAQ #4. December 17, 2015: No changes. The rankings hadn’t improved after adding the last couple of FAQs, so I added FAQ #5. There’s usually only so far you can push a page just by having great content, at least that was the case in 2015. I think I checked back on this page a few times and it remained in position #3 for quite some time. Eventually, I lost track of it. Ok, yes, I forgot about the experiment for 2 years. I didn’t think of it until today, Thanksgiving Day, after eating a ton of turkey and contemplating yesterday’s article. I have lots of experiments running at any given time and sometimes I forget about them. Oops. When did I get to position #1? I’m not sure. 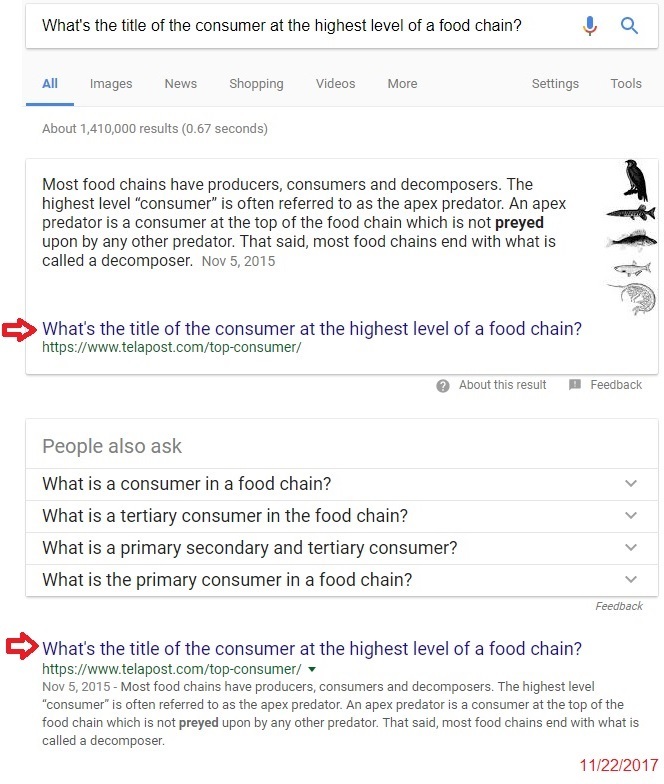 When did the Featured Snippet come along? I have no clue. But anyways my page is now above schools, Yale, Wikipedia and other reputable sources. That page has no links. I did, however, receive some links from some science websites in early 2017, to a completely different page. This may have played a role in the site’s rankings. I have a theory on that as well, but that is a story for another day. Links are still the #1 ranking factor, in most cases, however, site quality and content quality are a huge ranking factor as well. Quality content placed on an already powerful site can indeed overpower other powerful sites. In this case, Telapost.com tops Wikipedia and Yale. Yes, I am Googling the article title word-for-word, but still. It is fairly safe to say that improving content is a form of on-site SEO which leads to better rankings and more visibility in Google Search results. This study aside, I’ve improved the rankings of hundreds, of not thousands of pages with positive results. In my article “Does On Page Content Improvement Help On-Site SEO and Boost Search Rankings?“, I cover some more of the methods I use to evaluate and improve content quality and other quality factors.